The conservation and rehabilitation of the Flack Block has received a 2010 Outstanding Achievement Award from Heritage BC. For a complete description of the project, visit the awards page at Heritage BC. Dr. Sun Yat-Sen Classical Chinese Garden in downtown Vancouver. For the second consecutive year, Vancouver has been chosen as the “most liveable city in the world”, placing just ahead of Vienna. This is hot on the heels of Vancouver ranking amongst Fast Company’s list of “most innovative cities” last week. “Vancouver is still the most liveable city in the world, according to a new ranking from the Economist Intelligence Unit. The Canadian city topped a “liveability survey” of 140 cities, as it did in 2008. The ranking scores each city from 0-100 on 30 factors spread across five areas: stability, healthcare, culture and environment, education, and infrastructure. Vancouver’s average score was 98—0.8 less than last year—but the margins at the top are all tight, with the best ten cities scoring over 96. Vienna came second (it was top in Mercer’s similar recent study) and Melbourne third. The top ten included three Canadian cities, three Australian ones and four from Europe. High-scoring cities tend to be mid-sized and located in developed countries with a low population density. This means they can benefit from the availability of both cultural and recreational attractions, but with lower crime levels and fewer infrastructure problems than are often found among large populations. You can read the original story on The Economist’s website, and can see some of the 2008 story here. The Flack Block, 163 West Hastings Street, an Award of Honour for structural, seismic and building systems upgrading, sustainable interiors, locally crafted stone façade components, reinstated areaways, extensive exterior restoration, and a compatible contemporary rooftop addition. The Bowman Block, 528 Beatty Street, as Award of Merit for the mindful, restrained exterior preservation, rehabilitation, and adaptive reuse to commercial and residential, including a compatible contemporary loft addition. 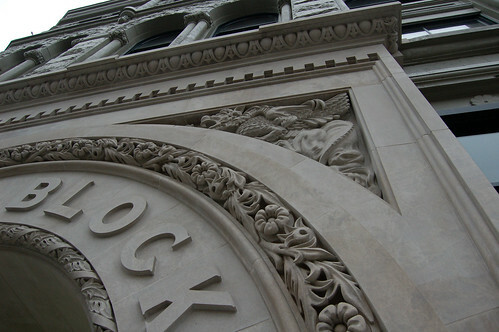 The Paris Block, 53 West Hastings Street, an Award or Recognition for its rescue, rehabilitation and adaptive reuse, and for the social and economic benefit the project provides to the downtown neighbourhood. The Lumbermen’s Building, 509 Richards Street, an Award of Recognition for its rehabilitation and structural upgrade, including exposing the original banking hall ceiling, and providing high quality ground floor use and office space.